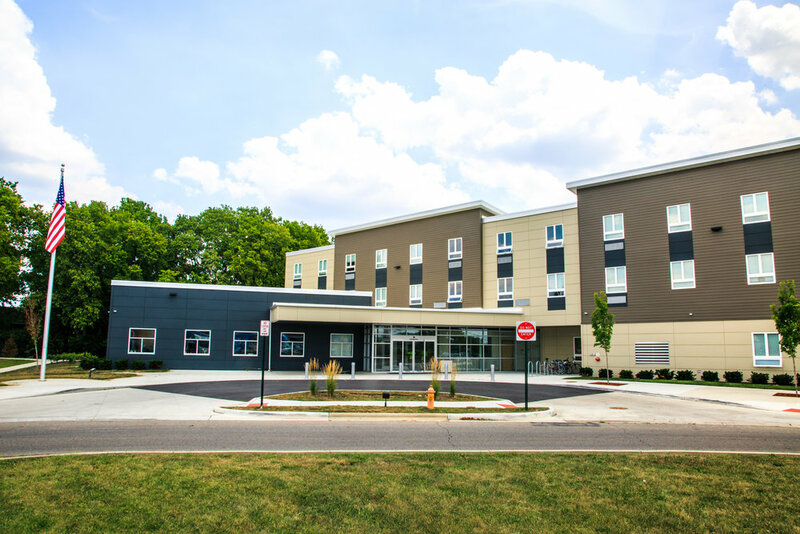 Van Buren Village, a partnership between Volunteers of America Greater Ohio and Columbus Metropolitan Housing Authority is bringing 100 units of permanent supportive housing to the South Franklinton neighborhood of Columbus, Oh. The project features the new construction of 100 units that are 650 sq. ft. with each unit having one bedroom and one bath. The three story urban contemporary style housing community is 88,300 sq. ft. with the first floor having a combination of administrative space, community multipurpose room and kitchen and living units. The 2nd and 3rd floor are all living units. 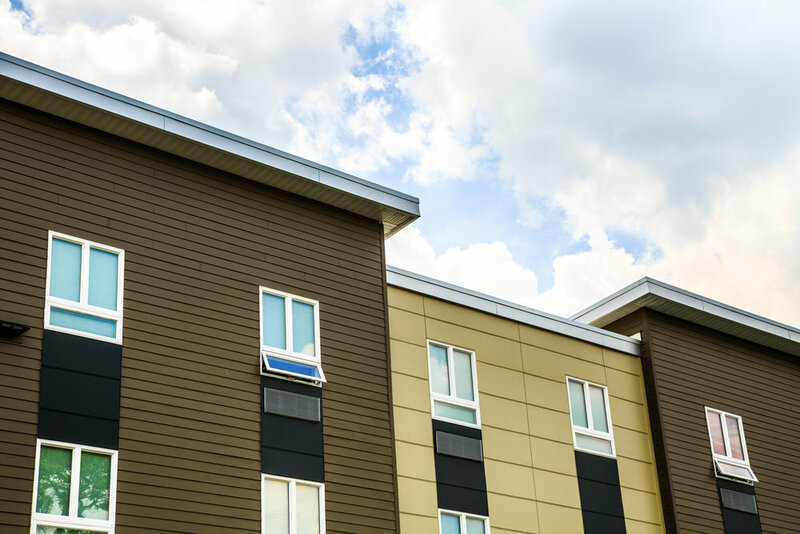 Sixty units will be designated for participants of the Rebuilding Lives program, with the other forty units dedicated for Franklin County Alcohol, Drug, and Mental Health (ADAMH) clients.